Face it. It’s the time of the year where you need to brush up your acting skills. One of the reasons why people hate Chinese New Year, well, is the constant questioning and probing from your relatives. This is especially so if you are single or married without kids. And it’s common since they only get to see you say, once or twice in a year? For the ‘DINKS’ ( Dual Income No Kids), the question will be ‘When are you guys gonna have kids?’. Yes! And the million-dollar question for singles is: Why are you still not married? It seems there’s also a trend going on. People in their late twenties get this dreaded question the most. Once you hit early thirties, you will still get some though the frequency would have reduced. After hitting late thirties or early forties, your relatives stopped, probably they got the hint or can’t be bothered anymore. 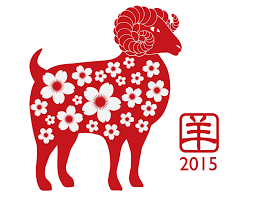 As you prepare to usher in the year of the goat, are you ready to face your yearly challenge? TIM checks out 10 excuses which you can use this season. Yes, this is a natural response acceptable by most folks. Especially for the guys, the older folks understand that one needs to have an established career or job before looking at settling down. As for the women, the society has come to terms that women are equally, if not more capable then men in many areas of our lives. Just look at all the power ladies around us! Yes, I would say use this reason if you’ve been painting a hardworking and busy side of yourself. It’s like boarding the right train. You stand at the train station and keep waiting for the right train to board. Tell them the right one has yet to arrived. The natural response, however will be that you are a picky and choosy fellow. Say ‘Ya’ in response and tell them why it is so hard to find the right one. Blame it on your Zodiac Sign. Say you are a taurus who is very stubborn about finding the right one. Throw a question back at them and ask why they picked each other. The older folks would be more than happy to relive their happy memories and here you are, the attention is back on them! This is a lame excuse. However it makes sense if you are taking care of more than 1 cat or dog. Taking care of pets is a lifelong commitment and requires much time and effort. However, this only works if you have been known as a pet enthusiast. No Pets?! Perhaps you could save a random picture from Google on your iphone. You can proudly show off the picture of your ‘cat’ or ‘dog’ by showing the pictures to your relatives. That might change the topic. This statement can come as a shock! Couple it with your great acting skills by changing your facial expression. Show signs of displeasure and unease, as if it’s a taboo subject to ask. 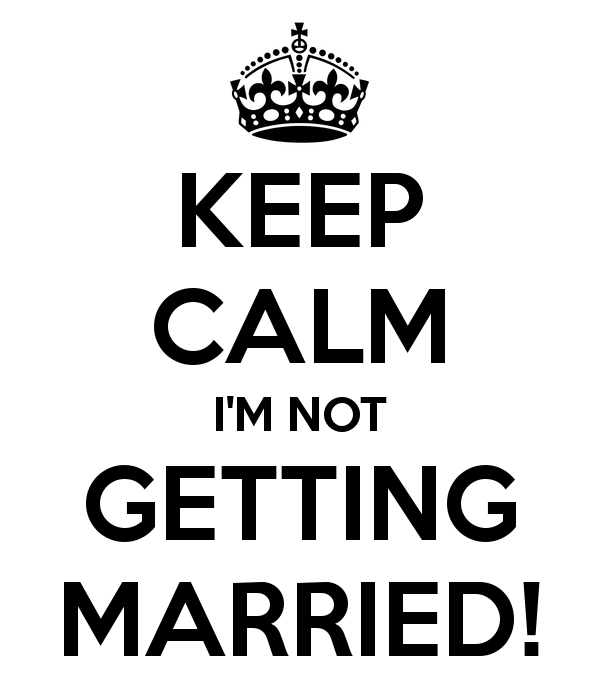 If you are seriously thinking of not getting hitched, then this is the best time to make a stand, once and for all. They should stop asking you this sensitive question for the rest of your CNYs with them. This holding statement is a very convenient and easy reply. Simply tell them that a wedding is on the way. Repeat this statement every time you see them and don’t indulge in further conversation about your personal life. Smile and keep saying ‘Soon..soon…’ They will get it. This statement might catch them by surprise. It’s meant to be a joke and to lighten the serious mood. Just say you had a secret wedding last December at Maldives or Phuket. ‘Where’s your wife, now?’ might be a follow-up question. So here’s what you can say : ‘She’s a Thai and currently staying in Thailand, Bangkok’. Change the topic by sharing about a Thai Language conversation course which you been attending recently. Play the victim card and share with your folks that you were ditched by several people in the past. ‘Once bitten twice shy’ is the motto here. Say you are scared of commitment because you were hurt in the past. Play up the drama as you share with them your sorrows. Better if you can ‘cry father cry mother’ till the cow comes home. They will plead you to stop. Just blame it on the high cost of living in Singapore. Getting married in Singapore is an expensive affair. From hotel banquet bills, gowns and suits, to lavish honeymoon, it is said that a typical wedding budget amounts to close to SGD 80k or more. How to get married if we don’t have the money? Young people have tons of debts to pay, from credit card bills, car loans to study loans. The debt never ends. Push it on the stressful environment in Singapore again. Convenient right? Say you wish to lead a carefree and stressless life and do not want to be tied down so early. Perhaps you can talk about your dreams of traveling around the world and settling down early will not be fair for your partner. Talk about your migration plans and excite them with all the big plans you have. Tell the folks straight that you are putting on hold your wedding till the Big 4. When they know you have a plan, they probably know that you are serious and will stop asking you…till you are 39? Another excuse to give along this thread is that you are fine with cohabiting with someone for a few years before marriage. It will probably come as a rude shock to these folks, but you probably need to do it to keep yourself ‘safe’ for the rest of CNYs. We know marriage is a no laughing matter and we must always be committed to our wedding vows. The above 10 excuses are meant to be a light-hearted spin towards our conversations with our folks during CNY 2015. Don’t take it too seriously. Whichever excuses you give, it is always beneficial to stay true to yourself. If the feeling is right, just get married. If you think marriage is still not in your cards, then perhaps these 10 excuses might come in handy when you face all your inquisitive and overly concerned folks this CNY 2015.